MANHATTAN, Kan. - Senior guard/forward Naomi Davenport scored her 1,000th career point as the West Virginia University women’s basketball team suffered its second straight loss, falling to Kansas State, 90-79, at Bramlage Coliseum in Manhattan, Kansas, on Wednesday. 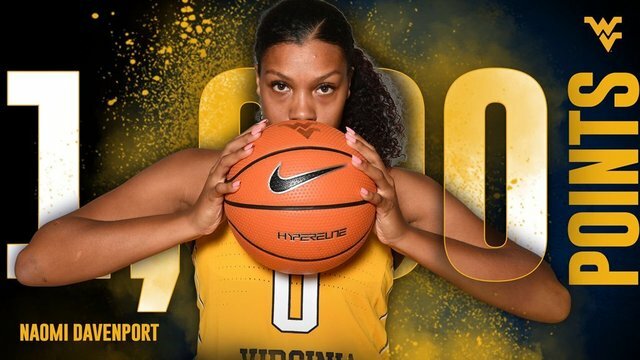 Davenport finished with 19 points on the night, becoming the 36th 1,000-point scorer in WVU program history. She is just the second junior college player to reach the threshold in a two-year career at West Virginia, as J.D. Drummonds did so in 1981. Redshirt junior guard Tynice Martin finished with a season-high 27 points, tying with Davenport for the team lead at eight rebounds and adding four steals. Freshman forward Kari Niblack went 6-of-7 at the free-throw line for 10 points, while senior center Theresa Ekhelar and freshman guard Madisen Smith finished just shy of double figures, scoring nine points each. Smith also added a trio of steals. The Mountaineers (19-8, 10-6) shot 37.7 percent from the field and went 8-of-25 from beyond the arc, with Martin hitting five treys. They scored 22 points off turnovers and added 16 second-chance points but dropped the battle on the glass to the Wildcats at 38-34. Davenport hit the free-throw line to start the scoring before Martin added a trey for a 5-0 WVU lead just over three minutes into the action. The Wildcats battled back from beyond the arc and at the free-throw line, knotting the score at 7-7 with 6:47 to play. A 6-0 run by K-State put the Wildcats up, 13-8, midway through the first. An Ekhelar layup stopped the K-State run, and Martin added a bucket on the fast break. However, the Wildcats came away from the charity stripe with three more points for a 16-12 lead at the end of the quarter. Ekhelar started the scoring with a layup and a free throw to bring the Mountaineers within one, but K-State drained a 3-pointer down the other end. A 3-pointer by Smith kept things close before the Wildcats scored three straight buckets for an eight-point advantage at 27-19 midway through the period. Davenport hit a jumper off a steal by Smith, and Martin drained back-to-back treys to tie the game at 27-27 soon after. K-State used the free-throw line and a pair of jumpers to again stretch the lead to six. Martin hit her fourth triple of the game before picking up the assist on a 3-pointer by senior guard Katrina Pardee to tie the game at 35-35 at the half. Kansas State started the third on an 8-0 run for a 44-35 lead before Ekhelar once again ended the drought with a layup. The Wildcats added a pair of 3-pointers for a 13-point lead. A Martin 3-pointer started a 17-0 run for the Mountaineers that saw them take a 58-54 lead on a Davenport free throw with just over minute to play in the frame. The Wildcats hit the free-throw line, but Davenport added a jumper for the 60-56 lead. K-State used a 3-pointer and a jumper to take the lead in the opening minute of the fourth quarter. Pardee hit the free-throw line soon after, swinging the momentum back to the Mountaineers at 64-63. A jumper by Niblack was bookended by a K-State 3-pointer and 3-point play as the Wildcats grabbed a five-point lead before Davenport hit a jumper to bring WVU within three with five to play in regulation. The teams traded free-throws before K-State went 3-of-4 at the charity stripe to put WVU in a seven-point hole, trailing 78-71 with 3:19 to go. Niblack added two more at the free-throw line before Martin added a jumper to bring the Mountaineers within five at 80-75. K-State countered with a bucket of their own, but Niblack got the bucket and the foul, hitting the ensuing free-throw shot to make it a four-point game with 1:20 to play. 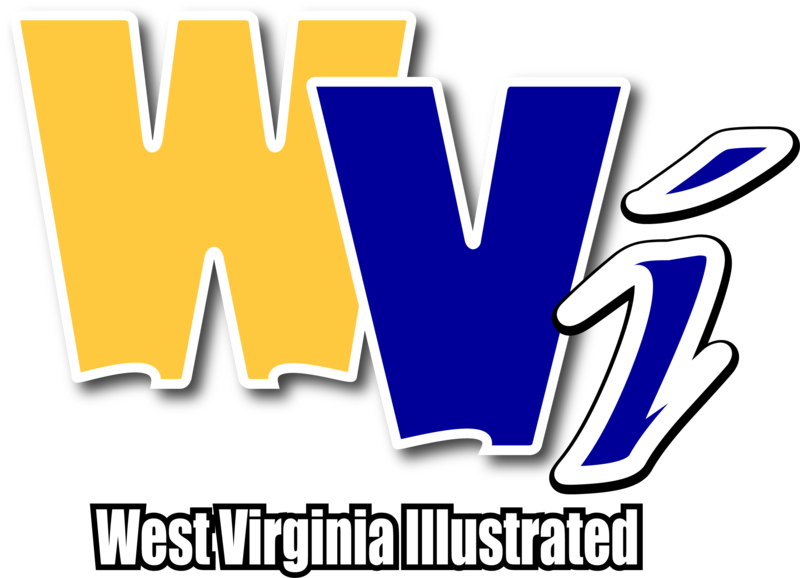 The Mountaineers were forced to foul from there, and the Wildcats went 8-for-8 as WVU took he 90-79 loss. K-State (18-10, 9-7) shot 50.9 percent from the field and 27.3 percent from beyond the arc, hitting 28-of-34 free throws. Four players finished in double figures, led by 30 points from Kayla Goth. The Mountaineers will remain in Kansas as they travel to Lawrence to face Kansas on Saturday in an 8 p.m. tipoff at Allen Fieldhouse.